The purpose of the Friends is to assist the Mary L. Stephens Branch of the Yolo County Library, located at 315 E. 14th St. Davis, in efforts to raise funds, plan for expansion of physical facilities, develop the library’s book collection, encourage reading programs for children, and to promote the library as a cultural center for the city of Davis. 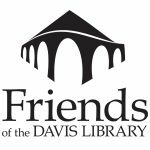 Friends of the Davis Public Library make substantial donations to the library, funding children’s programs, special events at the library and the purchase of furniture and equipment. In addition, many print and eBooks are bought every year by the library with Friends donations. Most of these funds are earned through the sale of donated books and magazines. 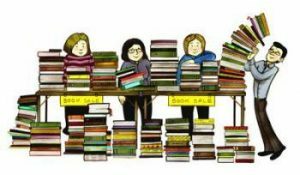 The Friends have six book sales a year at the library as well as an ongoing Friends sale of books and magazines in the Reading Garden Alcove during library hours. Profits from the Friends bookstore, Logos Books in downtown Davis also adds substantially to the donations to the library. To find out how you can help the Friends, click “Volunteering” on the menu bar above. Bimonthly Board Meetings are held on the second Thursday of even numbered months from noon to 2 pm in the library conference room. All are welcome to attend. The Friends have a used bookstore! To read more about the Logos Books store in downtown Davis click here. The annual membership fees are listed below. You may join at any time in the year for 12 months, or for convenience, for more than one year. The Annual Membership Meeting for 2019 will be May 19; see the top of this page for details. and are the first to enter the sale room. Bring the postcard and receive $4 off your purchase. Click to update your email address or get membership information. Please join us and support our library!